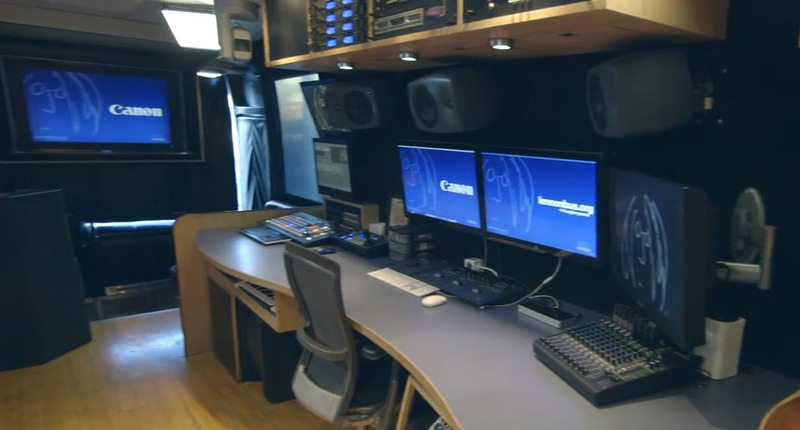 The John Lennon Educational Tour Bus is a set of fully-equipped audio recording and video production studios on wheels. 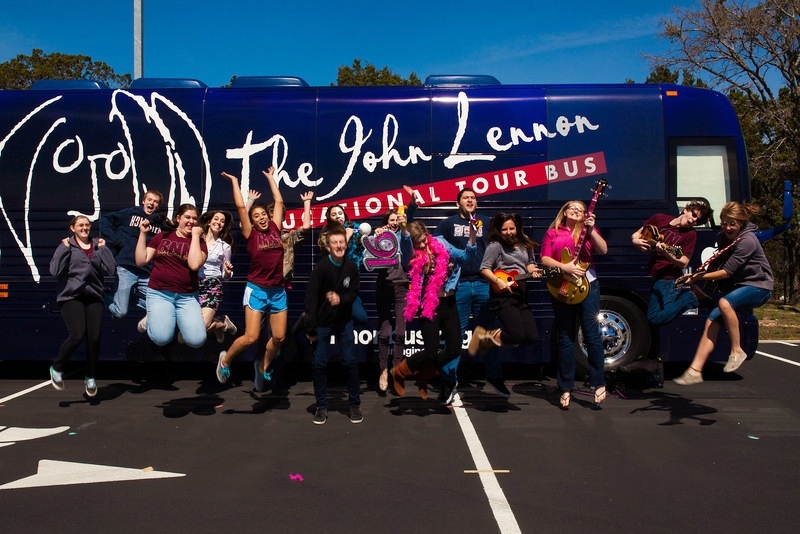 The Lennon Bus brings these facilities to schools across North America to honor the memory and extend the legacy of John Lennon. 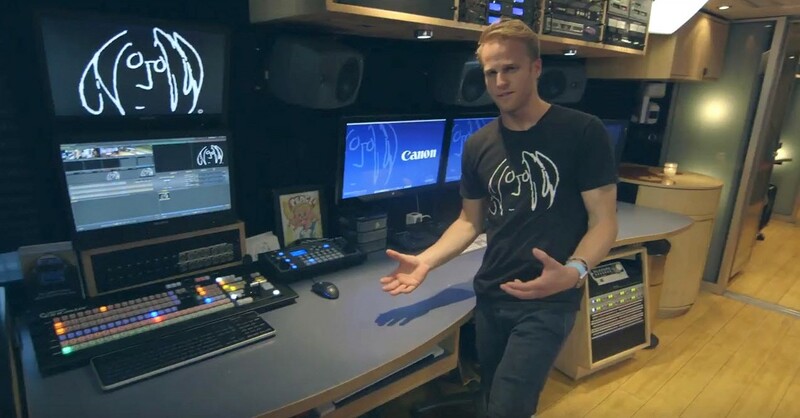 Students can have the complete creative experience of performing and producing music videos and live music shows, hands-on with a wide range of musical instruments and production equipment, including a NewTek TriCaster. 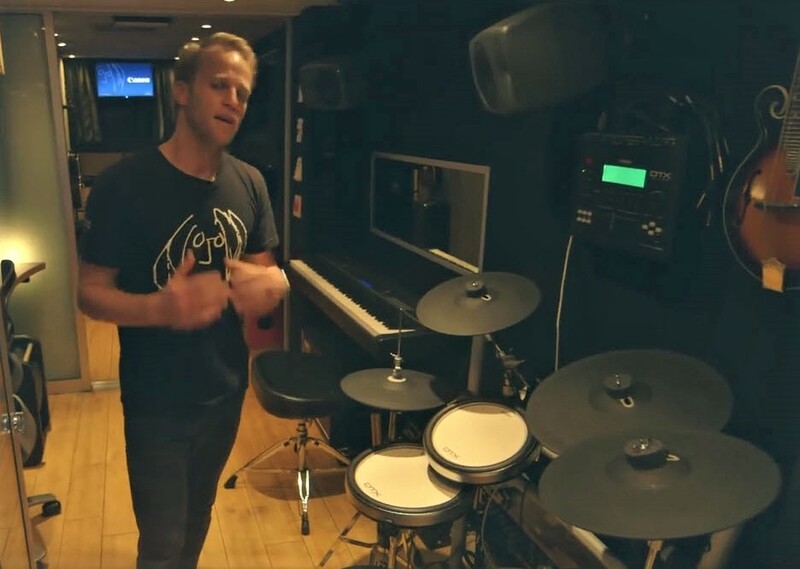 In this video, Hans Tanner gives a tour of the technologies in use in the Winter 2016 edition of the Lennon Bus. Canon XU81 remote control camera. 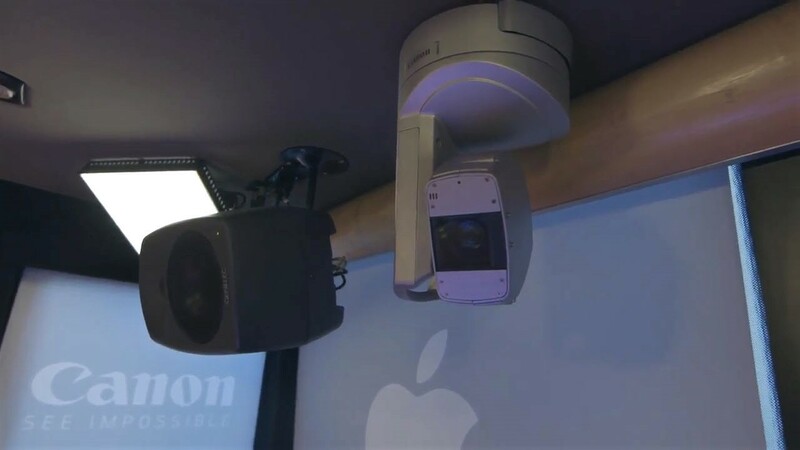 The Lennon Bus has a number of remotely operable Canon XU81 cameras located throughout the various sections of the bus. In addition a variety of cameras are available for tripod or handheld use. The TriCaster can mix any of these cabled into the router for a live production. Reflecmedia Chromatte fabric can create a green or blue screen background. In addition, at one end of the bus is a chromakey backdrop disguised as an ordinary gray fabric-covered wall. 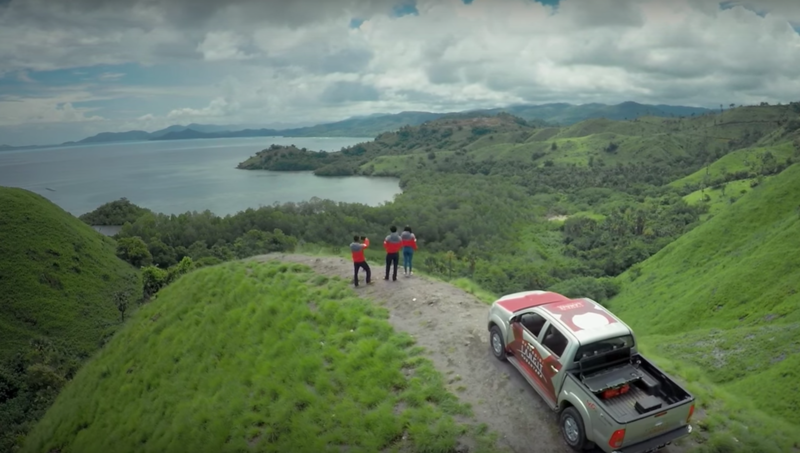 Reflecmedia’s Chromatte fabric only comes to life as a blue or green screen when illuminated by a camera-mounted LiteRing. 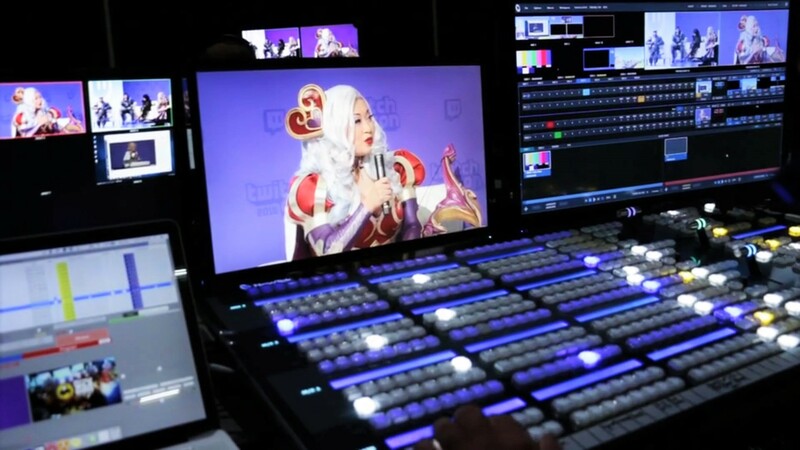 This allows the students to take advantage of the TriCaster LiveSet technology to put the students into a virtual set studio or a Holographic LiveSet virtual environment. Hans Tanner shows some of the musical instruments aboard the Lennon Bus. 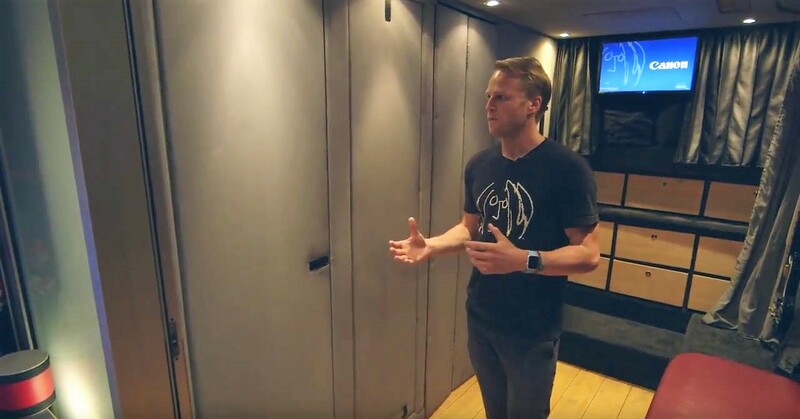 The center equipment rack, and behind Hans is the audio production and recording suite. 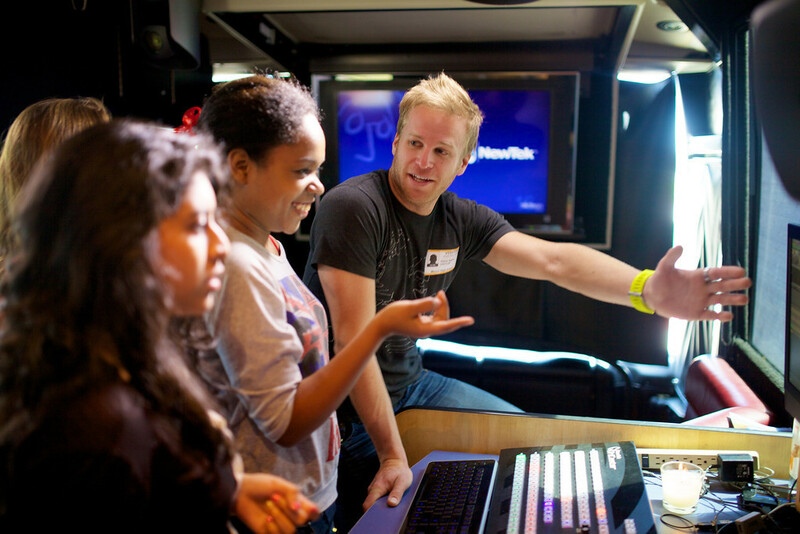 Manor HS TX students train at the TriCaster on the Lennon Bus. 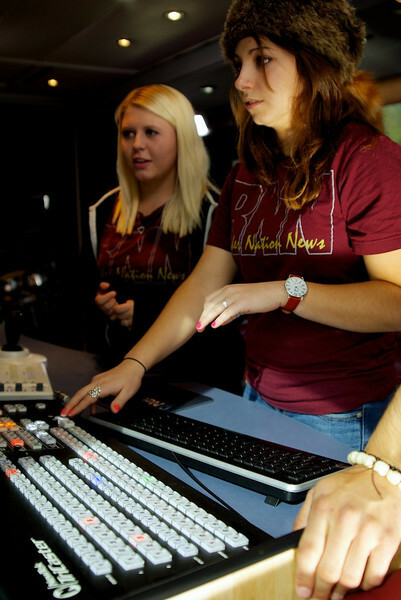 Rouse HS TX students operate the TriCaster. Rouse HS students celebrate their experience at the Lennon Bus.